Well here it is again another month gone by and time for a new VTROM. We can't expect for Wolverine to start off the entry's every month. So lets see some Super Hawks that I know that you've been wanting to show off. We can't expect for Wolverine to start off the entry's every month. C'mon peeps! Let's see 'um!!!!!! 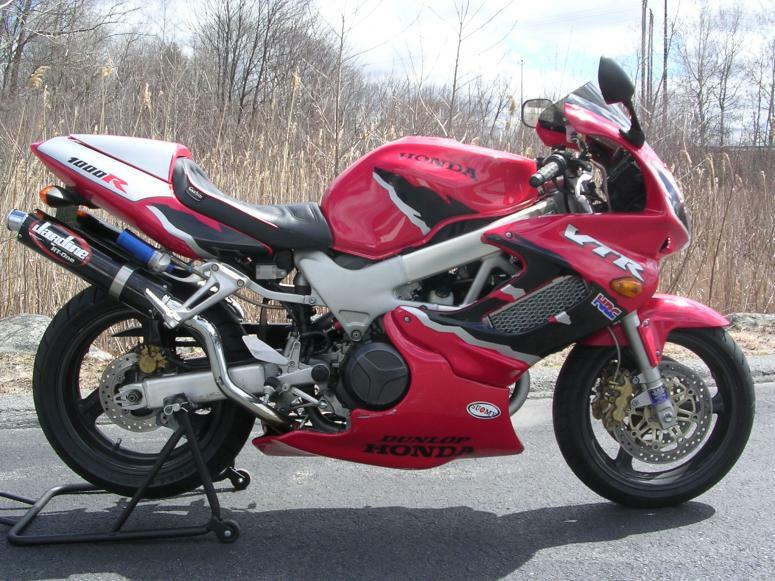 most note worthy mods are FG rear shock and custom gas tank (could go 160miles before RLD). Last edited by mikenap; 03-10-2015 at 07:44 PM. That's a good one to start with, lots of tasty mods when you look close and it's the right colour. Looks to be well sorted! Where are all the bikes? There must be some really cool bikes out there. Hope next month is better. 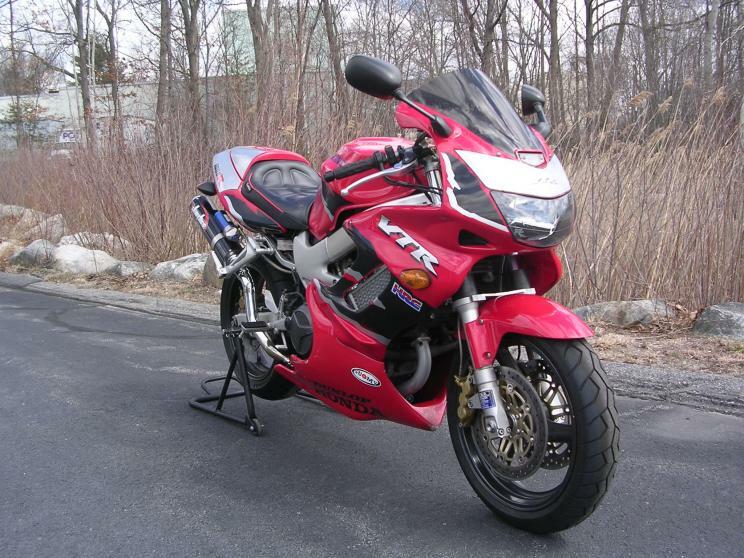 Submitted for your approval, a 2005 VTR, color" sliver gray, with 32,547 miles on the clock. 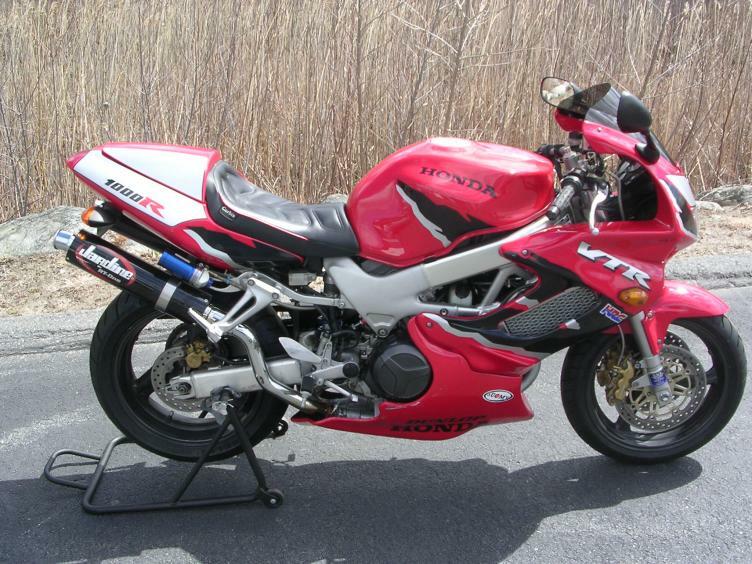 Mods include a change of engine cases, crank, rods and pistons. New rings and bottom end bearings, manual CCTs and it has a Two Brothers exhaust system. I have submitted three images depicting what it is supposed to look like. The last image is what it actually looks like most of the time. Last edited by Big_Jim59; 03-31-2015 at 11:01 AM. I see what you mean about needing the block of cement. Lots of wide open spaces behind your shop. And unlike CA for the past 3 years, it seems to rain there. We have something like a seven year cycle with two years of rain and floods followed by five years of drought. The Trinity river flows through Dallas. Nighty five percent of the time is a muddy semi-river running through a cut bank channel. It is flanked by levies built in the 1930s. I have seen it full to the tops of the levies with water rolling like a great and mighty river. It just depends on the rain and you can never depend on the rain. Texas has lots of man-made lakes to hold the water we get. I have quite a bit of space around me but it's not like it was. I used to be in the middle of maybe 900 acres but that has been sold and divided. I have a couple of mobile homes just down the road from me. It is horrible but what can I do? Hey Big Jim, we're too late for March but by all means, post it up for April! I just thought that since so few were forthcoming that I would throw my damaged hat in the ring. So a didn't win even though I was the only entry......DAM!!! That's like having the worst luck ever.